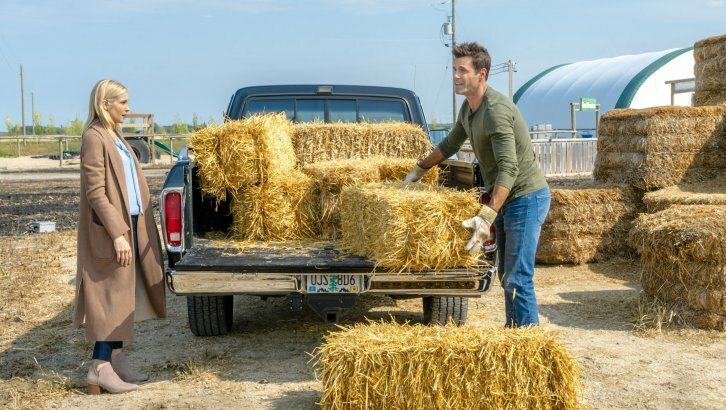 I've seen a number of very good Hallmark Channel movies over the past few years, and one of my newest favorites is LOVE, OF COURSE (2018). LOVE, OF COURSE first aired on Hallmark last fall. 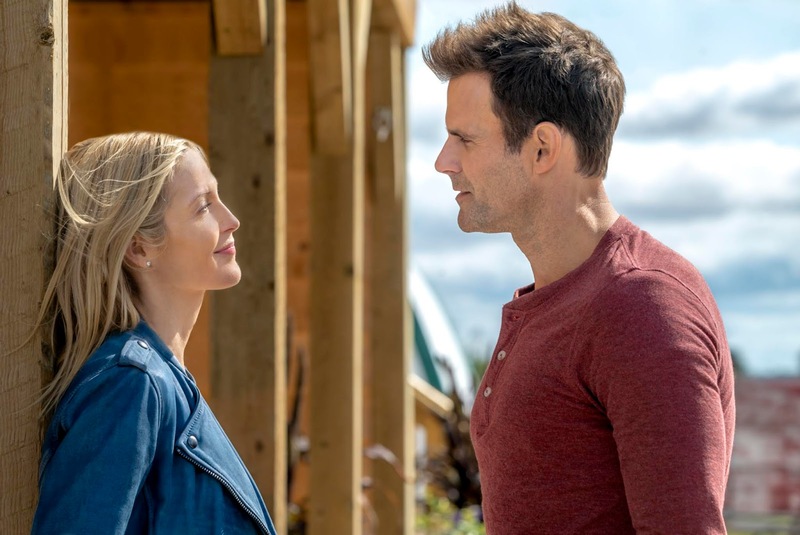 It's the story of Amy (Kelly Rutherford of the much-loved early '90s series HOMEFRONT), a widow who as the movie begins is delivering her only child, Cara (Makenzie Vega of THE GOOD WIFE), to college in the Pacific Northwest. An old friend (Sadie LeBlanc) at the college offers Amy a short-term job organizing the university's harvest festival, which Amy accepts after assuring that Cara won't feel a loss of independence if she temporarily stays in the area. The job brings Amy into regular contact with Noah (Cameron Mathison of A CHRISTMAS TO REMEMBER and the MURDER, SHE BAKED movies), a handsome agricultural professor. Amy and Noah are clearly attracted to one another, but they are each hesitant to open up about their feelings. Amy feels as though she should return to California at the end of her contract, both because it's "home" and in order to give Cara her promised space, while Noah is considering accepting a job in Australia. This is a most enjoyable film with characters and relationships which feel particularly "real" and authentic. Some of the moments between Amy and Cara, such as Amy wanting Cara to take her beloved stuffed animal to college and Cara feeling like she doesn't need to, seemed quite recognizable to me, having delivered four children to college dorms over the years. Being a Southern Californian with a daughter who went to college up in Oregon made it seem even more familiar! The gentle development of the love story reminded me a bit of TRULY, MADLY, SWEETLY (2018), as a couple get to know one another while working on a project. 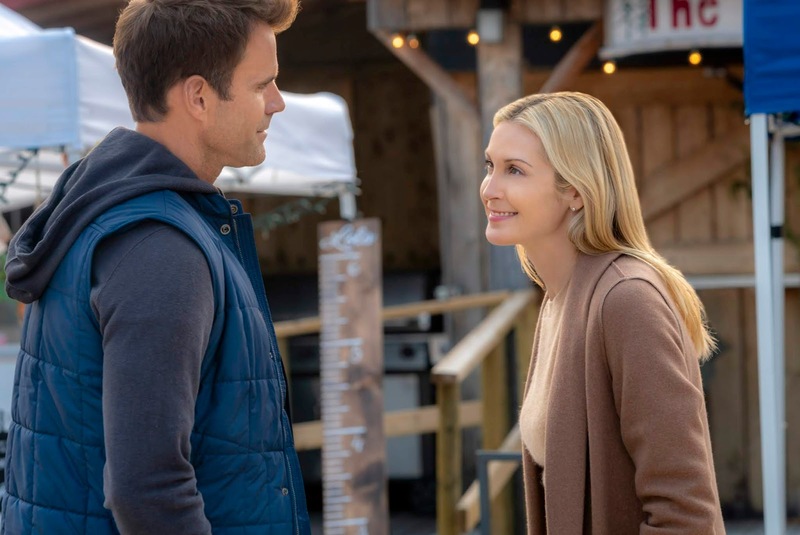 I also appreciate that Hallmark regularly features romances with more mature couples, telling a wide variety of stories, rather than only focusing on "young love." LOVE, OF COURSE was directed by Lee Friedlander and filmed by Daniel Villeneuve in Winnipeg, Manitoba, Canada. LOVE, OF COURSE is a charming "feel good" film which I recommend.